We have released a new bug fix version: Visualizer 2.1 for iTunes. This version fixes some errors in building visualizations that could cause the visualization to not be displayed. A new version of Visualizer for iTunes has been released. This release adds a major new visualization as the new default visualization: Live Graph – artist/album/tracks. This visual can be search, moved, interacted with and most importantly the tracks can be played with a simple double-click. 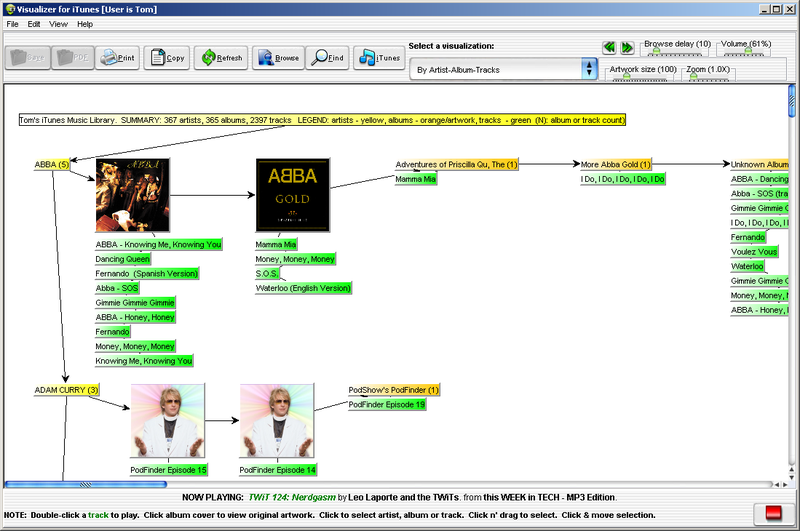 Searching allows searching the live graph for an artist, an album or a specific track. 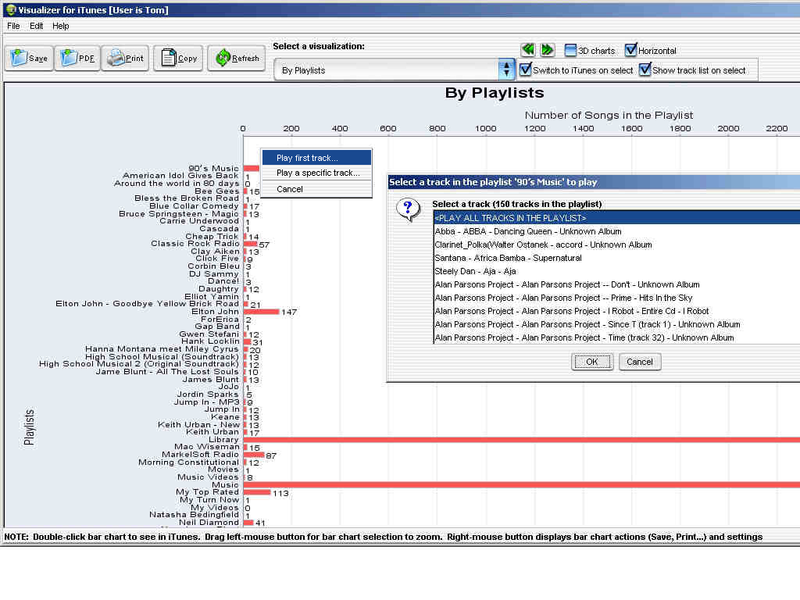 double-clicking a bar or chart now display a pop-up menu from which can select to play first track or play a specific track. If play a specific track, a window with all the associated tracks is show.